The Nigerian legislative army of government made the headlines yesterday with a highly criticized gale of defections. The legislature occupies a central role in any democratic framework hence its prime place in representative governance. But despite efforts at strengthening this arm of government in Nigeria, it has constantly come under the fire of the executive, especially since the advent of the present dispensation, Felix Nwaneri and Emmanuel Masha report. There is no doubt that the three arms of government in Nigeria, prior to the return to civil rule in 1999, experienced inequitable developmental opportunities as a result of intermittent military intervention in governance. But of the arms, it is the legislature that was worse hit as it suffered total disbandment at every such interregnum. The consequence of this intermittent disbandment is that the legislature is the most misunderstood and to an extent, the most vilified either due to genuine ignorance or deliberate mischief by politicians and analysts, who are still hooked to ethos of dictatorship. 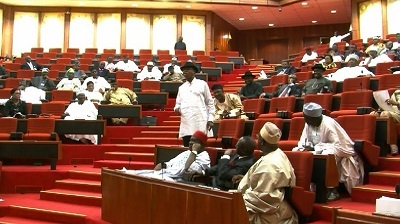 It is against this backdrop that most stakeholders have consistently made case for a breathing space for the legislature so that its members will perform their constitutional functions and correct the impression that the legislature’s performance of its role is meddlesomeness with or antagonism of the executive. While some appreciable progress has been made in this regard, many are however of the view that the legislature is yet to be free from the grip of the executive, which had always at the slightest provocation led sieges on the legislative houses be it at the state or national level. In July 2013, some lawmakers in the Rivers State of Assembly, who were opposed to the leadership of then Governor Chibuike Amaechi almost succeeded in impeaching Hon. Otelemaba Amachree, the then Speaker in a bid to ultimately impeach Amaechi. The five lawmakers, who were loyal to then Minister of State for Education, Nyesom Wike (now governor of the state) were those who refused to dump the Peoples Democratic Party (PDP) for All Progressives Congress (APC), preferring to use their platform to impeach Amaechi, who they accused of incompetence in the handling of affairs of Rivers State. It started like a drama after majority of pro-Amaechi lawmakers stepped out of the chamber, remaining the pro-Wike lawmakers. The five anti-Amaechi lawmakers had after procuring a fake mace, decided to take charge of the sitting after waiting to no avail for the Speaker and his Deputy, Hon. Leyii Kwanee, to arrive the Assembly complex. One of them, Hon. Kelechi Wogu, moved a motion for Amaechree’s removal as speaker, a development, which infuriated the Leader of the House, Hon. Chidi Lloyd, who dashed out of the Assembly with about four pro- Amaechi’s lawmakers to inform the governor about the development. Before Lloyd and the four lawmakers returned to the House, the five anti-Amaechi members of the Assembly had already impeached Amachree and elected Evans Bipi as his successor. Amaechree was accused of ineptitude. It was at the point that Bipi was about giving his acceptance speech that Governor Amaechi, Lloyd, Amachree, other lawmakers and security operatives arrived at the Assembly complex. The hallowed chamber was immediately turned into a jungle as members of the opposing camps engaged each other with dangerous weapons. Scores of policemen, who were present, watched helplessly as the legislators threw punches at one another, while computer sets and other office gadgets in the Assembly were destroyed. The House Leader (Lloyd); Michael Chinda and Martins Amahule sustained serious injuries during the fracas. Chinda was later to be flown abroad for medical treatment after initially receiving treatment at a private hospital in Port Harcourt. His skull and jaw bones were fractured. The five pro-Wike lawmakers were those who refused to dump the Peoples Democratic Party (PDP) for All Progressives Congress (APC), preferring to use their platform to impeach Amaechi, who they accused of incompetence in the handling of affairs of Rivers State. During the fight, a pro-Wike lawmaker, Hon. Michael Okechukwu Chinda, sustained a serious head injury and was later flown abroad for treatment, while Hon. Chidi Lloyd was sub- sequently arrested for the attack on Chinda. Bipi, who later spoke after the fight claimed that Amaechi had stormed the House and fought alongside the lawmakers supporting him against him (Bipi) and the remaining pro-Wike lawmakers’. Although the planned impeachment of Amachree failed, it marked the end of lawmaking proceedings in the Rivers State House of Assembly complex in the remaining months of the administration as the pro-Amaechi lawmakers, who remained in the majority carried out their sessions at the old Rivers State Assembly Complex, which is located inside the state’s civil service secretariat. Wike, who spoke after supervising the transfer of Chinda abroad, insisted that the media was misled by the House Leader. “The person that committed that crime was the same person who had to go to Government House Clinic and lay down on the bed and said that he was beaten,” he said. Amaechi, who was apparently shocked by the development, ordered the arrest of the five law- makers behind the impeachment plot, but he was ignored by the police. The impasse over the Assembly’s leadership forced the House of Representatives to wade in. The House on July 11, 2013 in a unanimous voice vote invoked Section 11(4) of the 1999 Constitution as amended and resolved that the National Assembly should take over the functions of the Rivers State Assembly. The House also resolved that then Inspector General of Police, Mr. Mohammed Abubakar, should re-deploy the Rivers State Commissioner of Police at the time, Mr. Joseph Mbu. It was a national embarrassment on November 20, 2014, when policemen and operatives of the Department of State Security Service (DSS) cordoned the National Assembly and tried to stop then Speaker of the House of Representatives (now governor of Sokoto State), Aminu Tambuwal, from entering the complex. The House had been on adjournment since October 28, following the defection of the then speaker from the PDP to APC, and was reconvening to consider a request by then President Goodluck Jonathan for the extension of the state of emergency imposed on Adamawa, Borno and Yobe States. The then speaker, who was at the time locked in a running battle with the presidency following his defection, had issued a notice on reconvening the House to discuss the president’s request. He had arrived the gate of the complex at about 10:50am with some lawmakers providing shield around him. The gates were locked, but he alighted from his car and trekked to the gate with the lawmakers in his company. They came through the main entrance to the National Assembly, but plea to the policemen, led by then Federal Capital Territory Commissioner of Police, Mr. Wilson Inalegwu, to be allowed in went unheeded. Tambuwal was in company with lawmakers, including then APC caucus leaders such as the Minority Leader, Hon. Femi Gbajabiamila; Deputy Minority Leader, Hon. Abdulrahman Suleiman Kawu; Hon. Solomon Adeola Olamilekan, Hon. Mohammed Zakari, Hon. Samuel Adejare Akinlade, among others. While the police allowed some lawmakers, including then Deputy Speaker, Hon. Emeka Ihedioha and Chief Whip, Hon. Bawa Bwari easy passage, they prevented Tambuwal and his entourage from entering the complex. It took the effort of some lawmakers to force the pedestrian gate open before Tambuwal and his entourage gained access to the complex. As the then speaker was walking to the chambers, the police fired tear gas canisters at him and those with him. The House members had to scale the fence to join him.